Turkish military tactics against the Kurdish-held Syrian enclave of Afrin leave its forces open to surprise attack and Turkish air strikes are unlikely to hit their targets, Sputnik Turkey quoted a Russian military expert as saying. “Turkish forces are using roads in order to advance through the mountain areas in the Afrin region,” said Vladimir Yevseyev, a military expert and the director of the Public Policy Research Centre at the Valdai Club think-tank. The Turkish military was proceeding without air support, Yevseyev said, which is one reason why it is under pressure in Afrin. 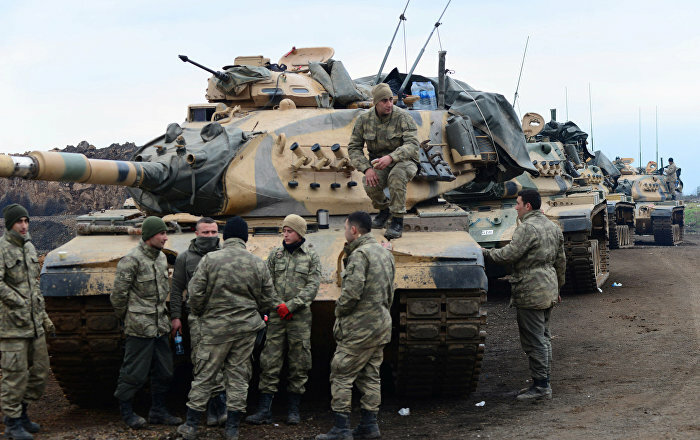 The Turkish military were in trouble already after a week in Afrin, Yevseyev said, because it was relying on the Free Syrian Army, a group without sufficient power to advance, to make territorial gains.